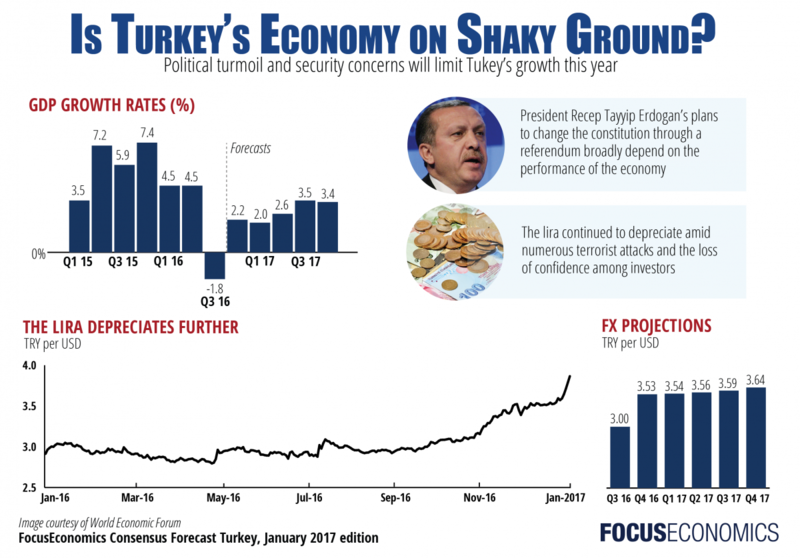 The consequences of July’s coup attempt, numerous terrorist attacks, a weak currency and heightened political uncertainty took a toll on the Turkish economy in the third quarter of 2016. Revised data show that GDP contracted for the first time in seven years, disappointing the markets and contrasting the previous quarter’s expansion. On balance, FocusEconomics panelists expect that the economy will expand 2.7% in 2017, which is down 0.3 percentage points from last month’s estimate. The Turkish government expects the economy to expand 4.4% in 2017. 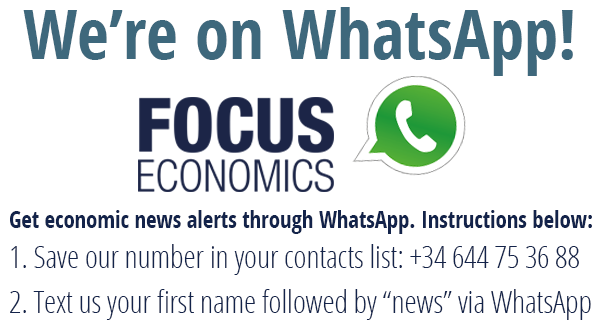 FocusEconomics Consensus Forecast panelists are less optimistic and see GDP expanding 2.7% this year, which is down 0.3 percentage points from last month’s forecast. For 2018, the panel sees the economy growing 3.1%.